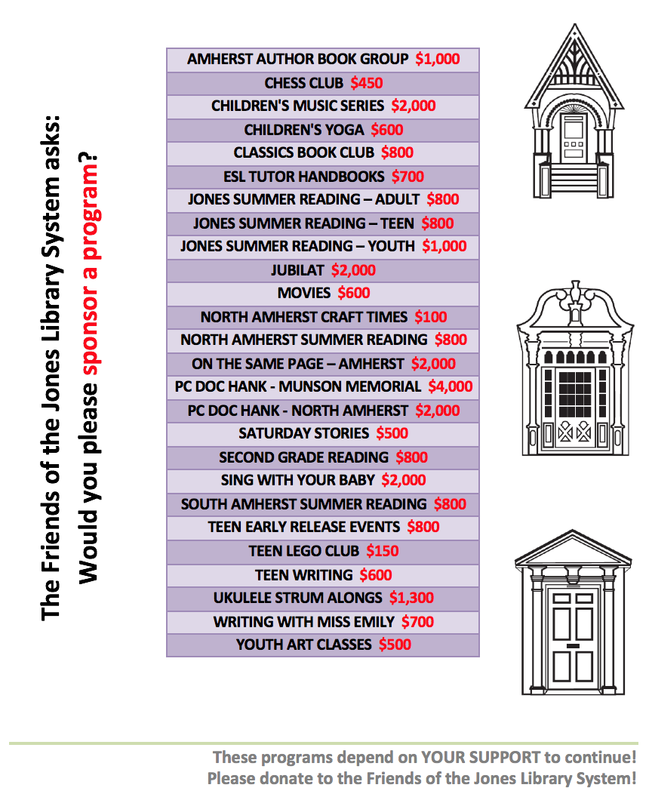 Friends of the Jones Library System News: THANK YOU! 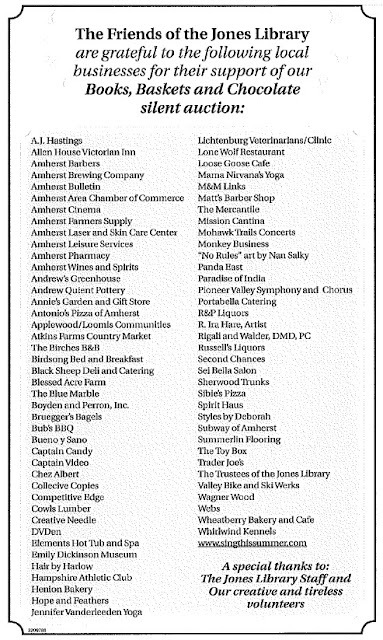 The Friends of the Jones Library System would like to publicly thank the following businesses and people for their generous donations to our Books, Baskets and Chocolate silent auction fundraiser. 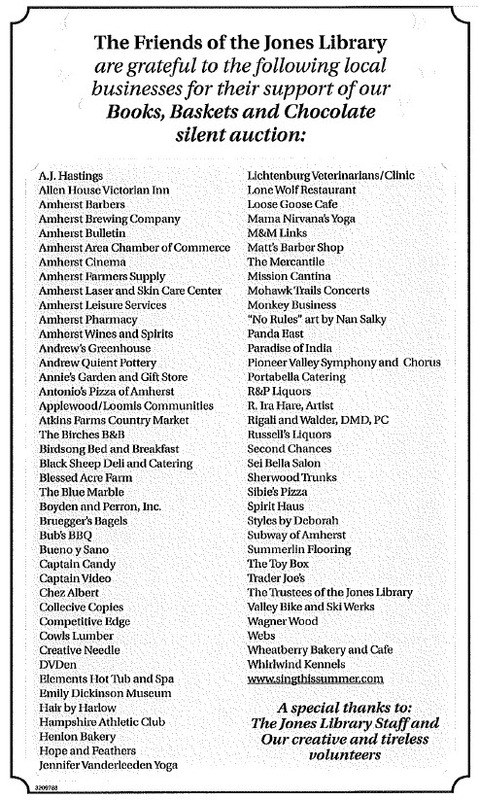 Without these wonderful gifts, we would not be able to support our libraries.